As they grow older, many men start to notice an accumulation of fat in regions such as the chest, abdomen, hips, and neck. Despite eating a balanced diet and finding time to exercise on a routine basis, stubborn fat buildups in these trouble areas frequently remain immune to change—even when surrounding regions of the body show signs of improvement and/or respond quite well to one’s efforts. The good news is, liposuction can often prove to be an ideal solution for men wishing to sculpt localized areas of fat for a slimmer, more athletic-looking physique. While it should never be considered a treatment for obesity, this popular procedure can help significantly enhance the contour of virtually any region of the body that doesn’t respond to traditional means of diet and exercise. 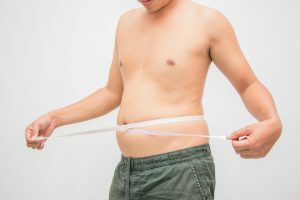 As an additional benefit, innovations in technique and technology allow liposuction to be completed through smaller incisions and with greater efficiency than ever before, enabling men to achieve their desired results with less time away from work and other normal daily schedules. At The Aesthetic Institute of Chicago, our board-certified plastic surgeons offer several liposuction methods, including suction-assisted liposuction (SAL), power-assisted liposuction (PAL), and ultrasound-assisted liposuction (UAL). Based on your unique needs, they can determine the technique that will most effectively help you attain your body contouring goals with natural-looking results. To schedule a consultation at our practice, please feel free to contact us online or by phone today.